By providing children with the opportunity to learn Mandarin from an early age, we passionately believe that Mandarin Matrix can make a real difference to young people’s lives, offering them a chance to build their life skills and prepare for their future. 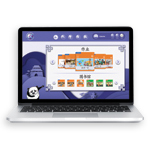 Our mission is to increase Mandarin fluency and literacy across the world, by delivering exceptional, innovative books and online services that are fun and engaging for students to use. Mandarin Matrix products offer a theme-based approach to learning, structured around Megathemes, where our readers and online classroom ensure that new words presented in lower level books are revisited and are extended upon in higher levels. The Mandarin Matrix Chinese Readers use characters and content that are common to most curricula worldwide, including YCT, NCEA, PYP, MYP, IB, SAT, SA, iGCSE, GCSE. Our printed and on line materials are endorsed by Cambridge University Press and by The Confucius Institute in Beijing. Learn and play with Mandarin Matrix. Interactive, fun and challenging. Excellent support tool for teachers. Target learning of 1,750+ Chinese characters. Winner of US 2013 Academics’ Choice Smart Media Award. Short story-based narratives that are authentic to students lives and experiences. Based around everyday themes of school, family and playtime, the series incorporates Rebus images to help expand the stories themes beyond the set scope and sequence. Developed with the University of Utah Confucius Institute, the Readers and Online Classroom have been designed for Dual Language Immersion programs, teaching children from kindergarten and grade 1 with plans to expand through to grade 6. 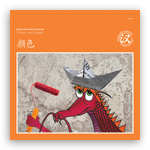 Mandarin Matrix YCT teaching and learning materials are endorsed by The Confucius Institute of China. Mandarin Matrix YCT Readers and Flashcards are available in print and on the Mandarin Matrix Online Classroom. The products are aligned with YCT testing 1 to 4. 240 story books ranging from beginner to advanced and divided into 6 colour-coded levels (Orange, Blue, Green, Purple, Brown, Red). 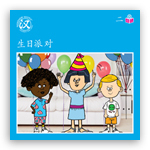 Stories are fun, fresh and engaging to introduce new vocabulary, Chinese characters and grammar in a systematic way. 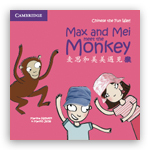 Bilingual series designed to strengthen young children’s Mandarin comprehension skills through engaging story books, audio books, activity books and game cards. 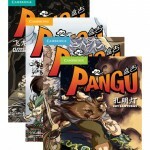 Chinese comic series designed to help intermediate to advanced readers reinforce and build on their Chinese vocabulary and reading skills.